Where did the art form known as creative writing have its beginnings? Though no one can say with 100% certainty it seems likely that creative writing’s precursors were in oral and pictorial storytelling. From cave paintings to oft-repeated tales, the visual and verbal kernels of what would eventually become creative writing fused together families and helped shape moral, ethical and cultural codes of conduct and expectations. They also provided entertainment and excitement in the era before television, formal theatre, or radio; truly, an exceptionally gifted storyteller could serve as entertainer, historian or even moral authority. When the written word came into being, storytelling changed, though it thankfully didn’t vanish. Instead, it was supplemented by creative writings which could preserve the best stories and fables for future generations. Eventually, authors began to write new tales and record them for the ages rather than simply recording those which were “standards” of the era. Unfortunately, time has erased or destroyed most of the first creative works. 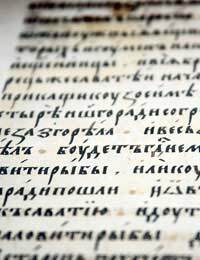 Though archaeologists and other scientists and archivists occasionally discover or unearth writings from past civilisations, those writings are not always imaginative stories; rather, they are just as likely to be timelines, religious or societal laws and edicts, or some other form of “practical” writing. The creative writings that we have found from millennia ago are fascinating, as they provide us with insight into the worlds and times in which they were written. Plays such as “Oedipus” and epic poems like “The Iliad” tell of a very different experience from the one which we now understand. Ironically, we can still appreciate even the oldest creative pieces; after all, human nature has not changed much over time, though countless nations have come and gone. Another interesting aspect of examining creative writings from previous societies is in tracking literary trends throughout the ages. At various periods, different lengths and types of works have enjoyed popularity. Plays, poems and essays all had moments of strong regard, though it’s tough to say if their heydays were a catalyst for or a result of the works of exceptional authors. An article about creative writing’s past would be remiss if it were not to mention the printing press, an invention that revolutionised society’s ability to mass produce creative writings. After this incredible development hit the scene, people in many countries finally had a reason and the opportunity to learn to read. Literacy rates began to climb and avid enthusiasts sought out books, pamphlets and magazines to read and share. Riding this wave of interest, authors began popping up, self-publishing their works (or publishing under tongue-in-cheek or opposite gender pseudonyms, the latter occurring in the case of female authors, as women writers were not always well-regarded) or writing for other publications or private individuals. Being an author took on a specific role in society; a critical occupation that still thrives today, was born. Today, creative writing has ventured into cyberspace, a virtual landscape where almost “anything goes” and writers living in the most remote of places on earth can attract new audiences and readers via their blogs or websites. All in all, it’s the perfect time to be a creative literary artist, to try something new and to broaden your horizons. Who knows what the next chapter will be in the history of creative writing? The only certainty is that you can help build it today.